Halong Mining and MyRig are working together to bring the new DragonMint miner from Halong to market. First announced in November 2017, the new Halong Mining DragonMint 16T miner is the result of 12 months of R&D and a $30 million investment in development. It has a hashrate of 16th/s with a power consumption of 1440–1480 watts optimized for 240v operation. The DM8575 ASIC runs at 85 GH per chip with a power efficiency of 0.075 J/GH. 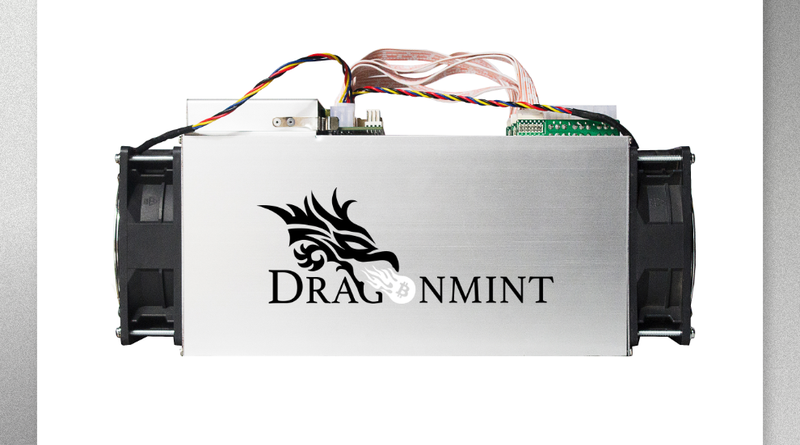 No special modifications are needed in a data center to use the DragonMint if it is already configured to support a typical Chinese-manufactured ASIC miner. MyRig (formerly BitmainWarranty) has been providing hosting and retail sales of miners and accessories, PCB design and manufacturing, software engineering and factory approved warranty and repair services since 2013. The partnership with Halong means that MyRig will take care of retail-side distribution, support and warranty services for the DragonMint 16T. Halong will be manufacturing the DragonMint and continue to sell direct, albeit with a five-unit minimum. Halong told Bitcoin Magazine that the five-unit minimum per order on their site will remain when ordering direct from Halong, but when ordering from MyRig, customers will be able to order single units. They indicated that lead time for shipping at the moment is April 15–30, 2018, and they expect the first batch to go out in March 2018. According to a MyRig representative, they will ship to any country that either UPS or DHL can deliver to, provided it is not on a sanctions list.